You got the message that "Error Deleting File or Folder, Cannot delete dbghelp_x86_v6.8.40: Access is denied. Make sure the disk is not fully or write-protected and that the file is not currently in use." When you deleting the lotus notes folder. 1. press Ctrl + Alt +Del. 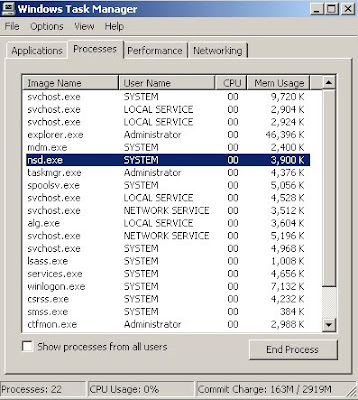 2. press Start Task Manager. 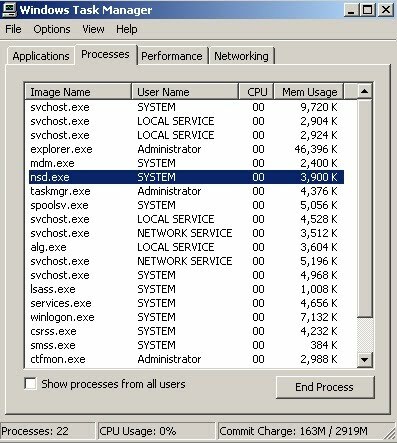 3. find nsd.exe and then click End Process. 4. Try to delete again.